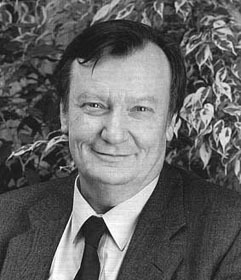 Italian physicist Carlo Rubbia was in charge of a team of more than 100 scientists at the European Center for Nuclear Research (CERN) which, in 1983, found three widely predicted but previously undiscovered force-carrying particles, the W+, W-, and Z0 boson. These particles convey the weak force, one of nature's four fundamental forces. Weak force interactions occur between elementary particles involving neutrinos or antineutrinos, and are the cause of certain kinds of radioactive decay. Rubbia's work supports the "electroweak" theory of Sheldon Glashow, Abdus Salam, and Steven Weinberg. He was awarded the Nobel Prize for Physics in 1984, mere months after his team's discovery at CERN, sharing the honor with his colleague Simon van der Meer. Journalist Gary Taubes's 1986 book Nobel Dreams: Power, Deceit and the Ultimate Experiment chronicled the weak force work at CERN. The book paints a less-than-flattering portrait of Rubbia as a genius of physics but also a brilliant politician and strategist whose dirty tricks and abuse of his position of authority at CERN slowed his scientific competitors, allowing his group time to claim first priority to key findings. Rubbia responded publicly by saying that the book's author "has not grasped the mechanisms of discovery processes in large-scale, collaborative science". Glashow, Rubbia's colleague at Harvard and a fellow Nobel laureate, said that the book presents "a fair picture". In 1998 Rubbia announced that he had invented a fission fragment-powered engine for space transport vessels, and more recently he has reported developing a new means to adapt high temperature solar power for energy production.